In just two days after the global release of the State of Decay 2 Standard Edition open world zombie survival game for Windows and Xbox One, over one million players enjoyed it. Other figures revealed by Microsoft for the given period include six million combined hours of gameplay and almost 3.5 million hours streamed via Mixer, YouTube Gaming, and Twitch. State of Decay 2 was released on May 22 as the sequel of the half-decade old State of Decay game. This open-world zombie survival title is available for Windows and Xbox One in two editions: Ultimate and Standard. The Early Access for the Ultimate Edition began on May 18, and Microsoft revealed on May 25 that both versions of the game managed to bring in more than one million players. According to this Xbox Wire blog post published by Aaron Greenberg on May 25, "Throughout launch, there have been over six million combined hours of State of Decay 2 gameplay, and we’ve watched nearly 3.5M hours of gameplay across Mixer, Twitch and YouTube Gaming from over 41,000 unique broadcasts." The General Manager of Xbox Games Marketing also added an entire collection of interesting numbers related to various in-game activities. According to him, the survivors killed more than 675 million zombies, ate over 6 million bags of snacks, read more than 2 million textbooks, and threw over 6 million fireworks and firecrackers. Although some lucky or extremely skilled — most likely a lot of both — players survived for over a month of in-game time, the average time a State of Decay 2 player is expected to survive is about three days. 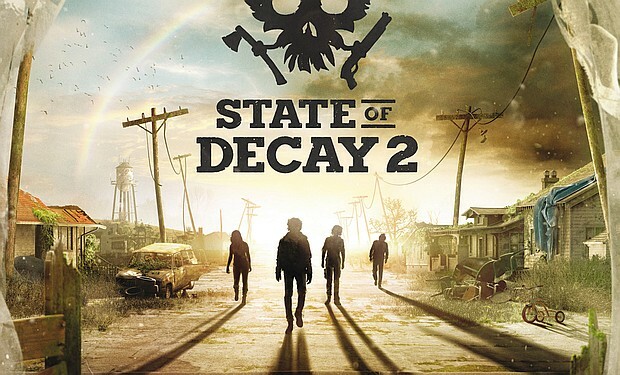 State of Decay 2 is an Xbox Play Anywhere title that can be acquired for US$29.99 (Standard Edition) or US$49.99 (Ultimate Edition), so a single purchase includes both the Windows 10 and Xbox One versions of the game. If you are one of the survivors, let us know what you think about the game in the comments section. If not, spare a few minutes to check the videos below and decide if you're going to skip State of Decay 2 or not.